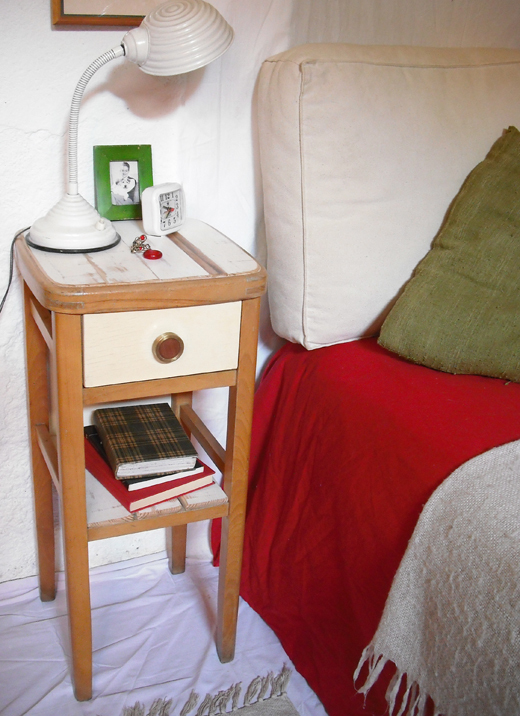 1Unik in Action: From high stool to bedside table! 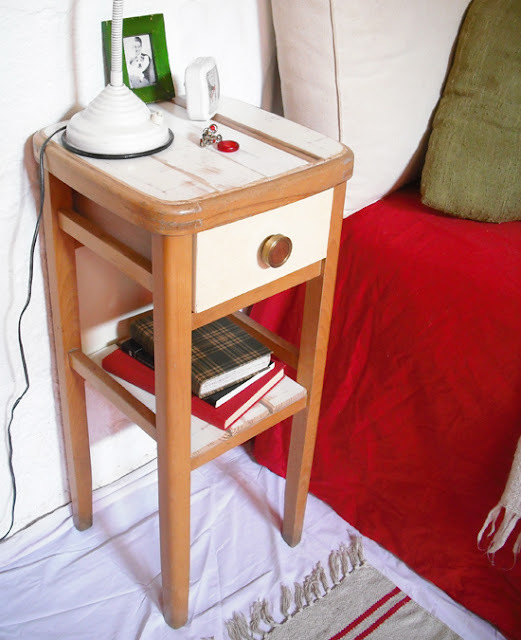 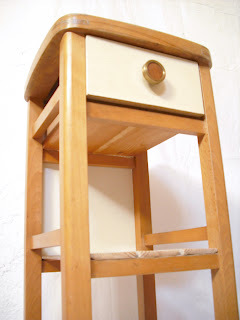 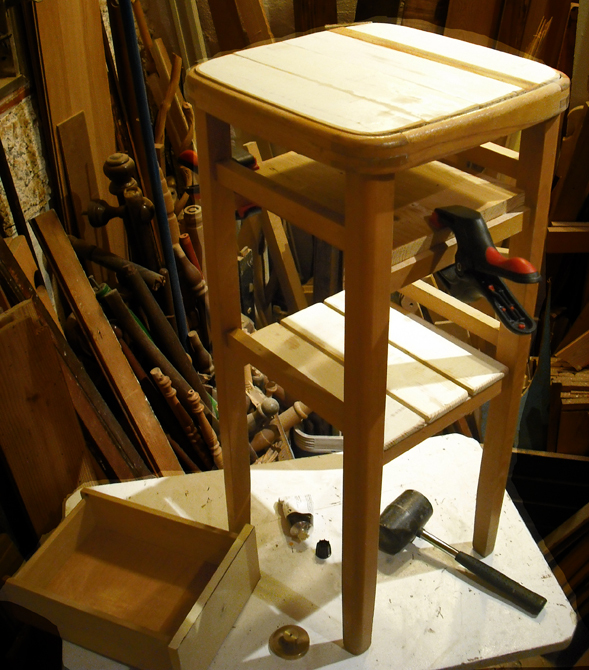 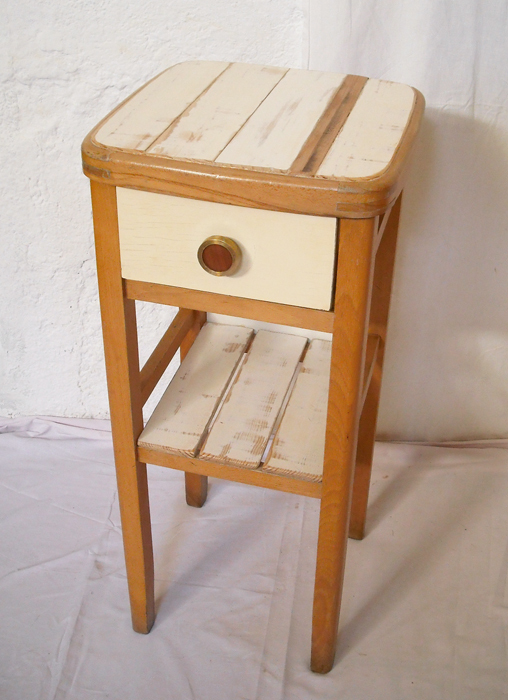 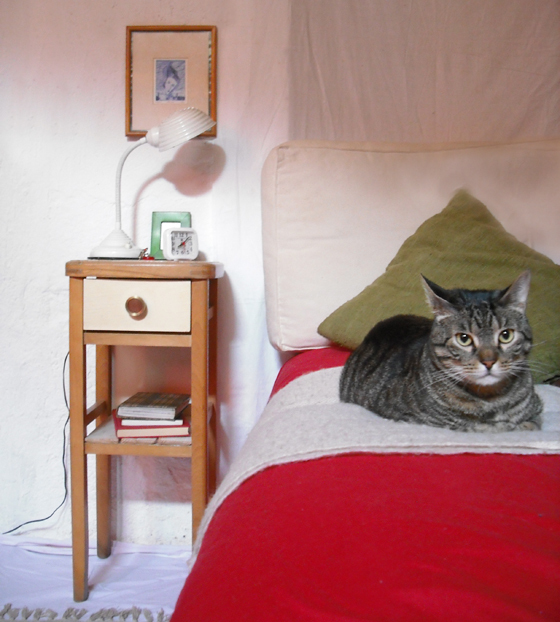 From high stool to bedside table! 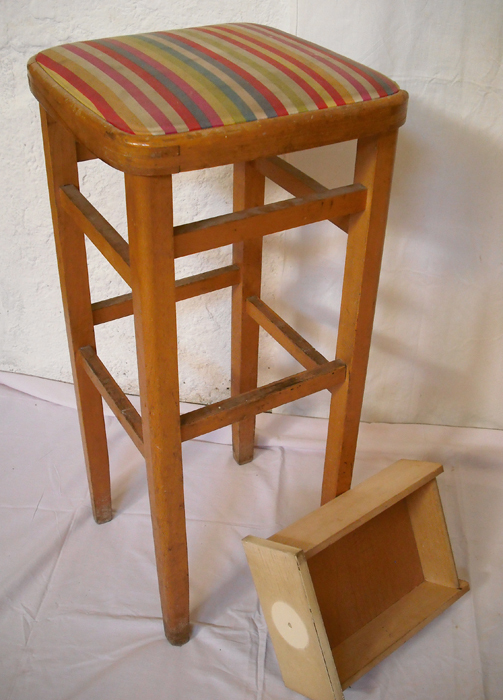 There was this Mid Century bar stool (marked "Made in Czechoslovakia"! 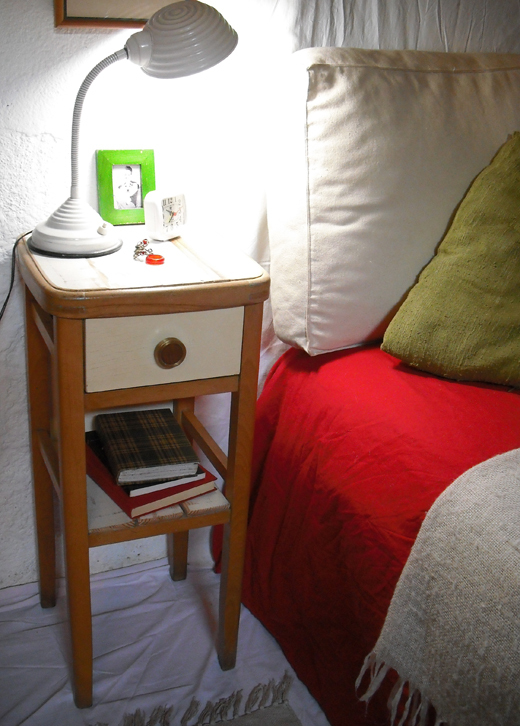 how weird is that for a find in Barcelona? 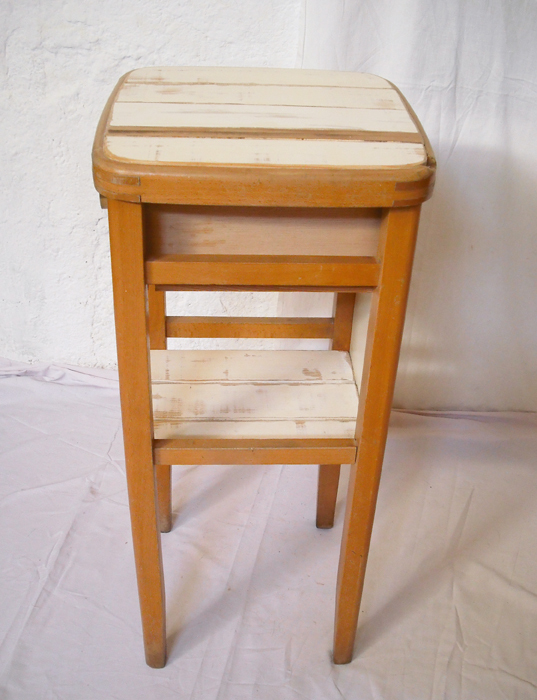 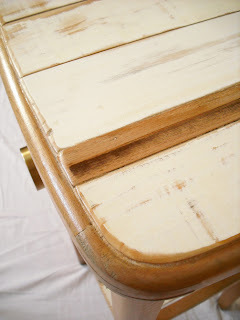 ), all dirty and clumsily reupholstered in the 80s -but with lovely round lines, a soft honey colour and still firm. So it deserved the chance to have a dignified second life! This time, as a bedside table... why not? 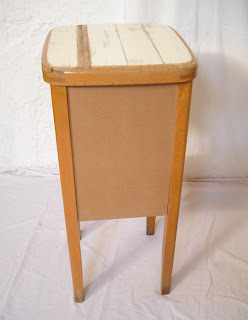 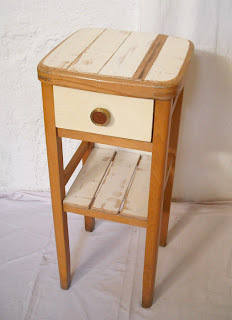 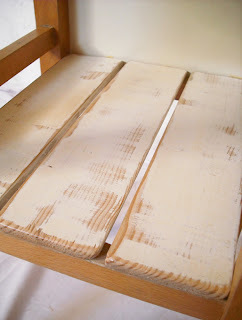 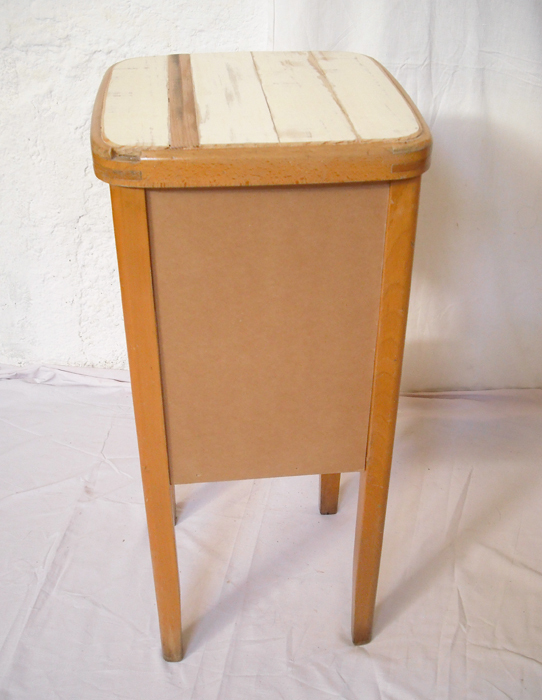 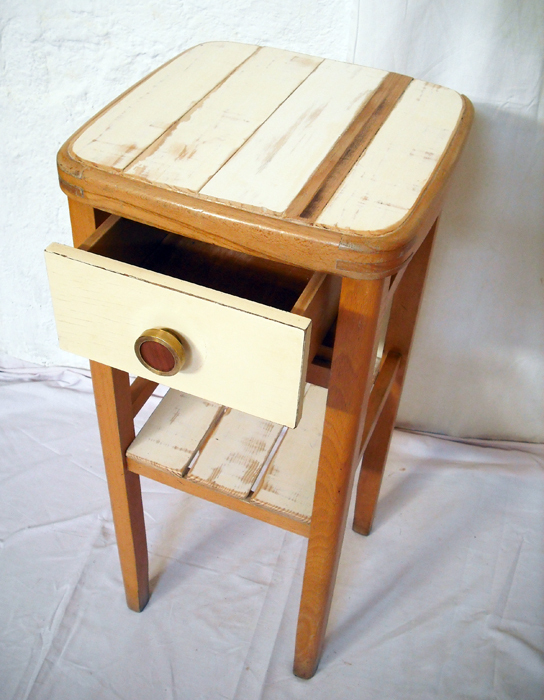 I rummaged in my collection of old drawers, till I found the perfect match: a small, cute vintage one, with a crackled off-white paint front. 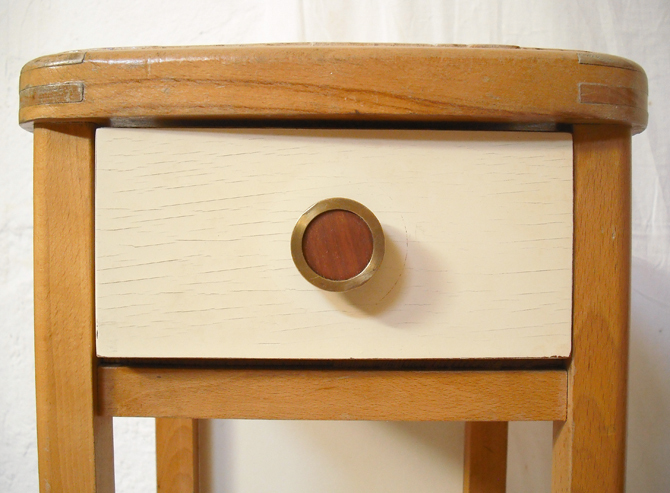 I completed it with a heavy round bronze drawer knob from the 70s, that has a wooden sheet on its front. And this led to choosing creamy-white old skirting boards for making the top surface and the lower shelf, plus a thin dark wood slat to break the uniformity and 'liven up' the design. So the old Czech bar stool is now a practical, useful piece of furniture that will fit in almost any decoration style -from rustic to modern, wabi-sabi to industrial-chic! 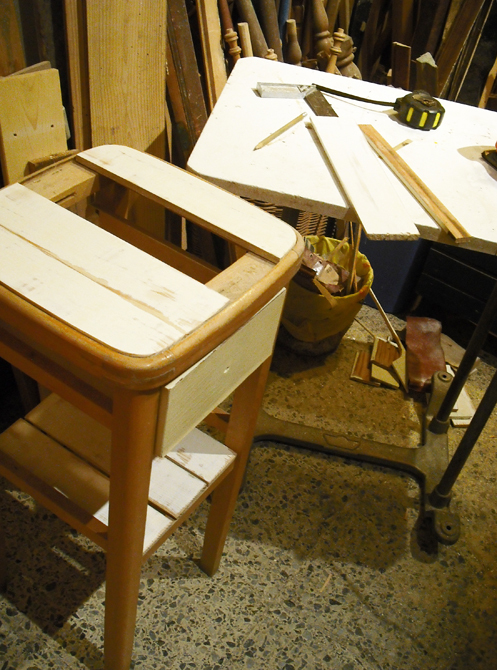 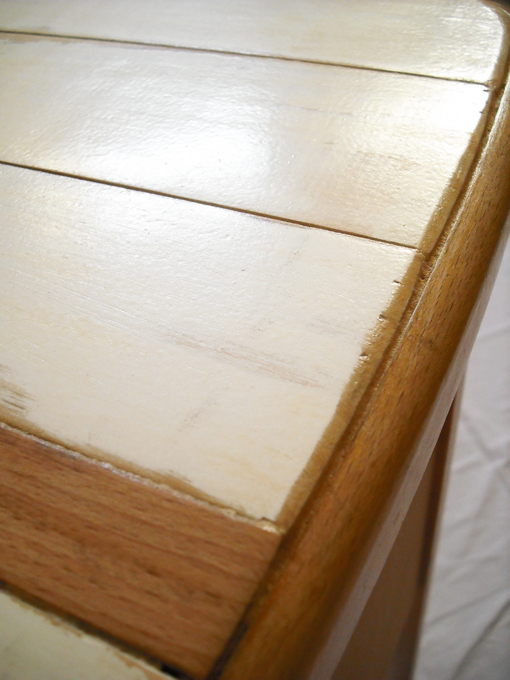 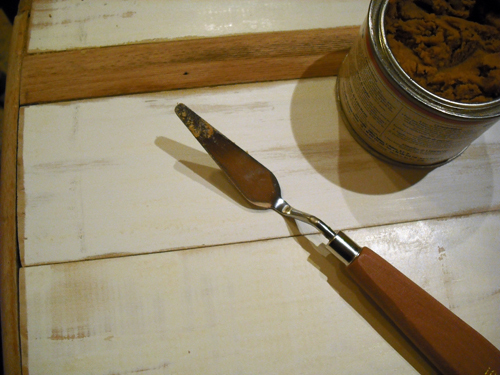 Below, right: Filling the gaps with wood paste -then sand again, a couple of varnish coats... and it's done!